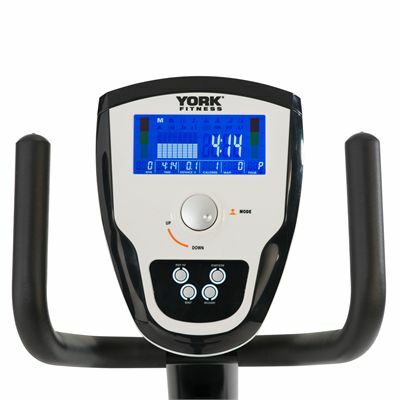 The York Perform 215 recumbent exercise cycle comes with a 9kg (19.8lbs) flywheel ensuring silky smooth operation and offers 32 levels of magnetic resistance to guarantee great versatility of each workout. This solid machine has a 5.5" 3 colour LCD display and offers a wide selection of 18 motivating programmes designed to help you reach the training goals faster. The Perform 215 features a large padded seat with reach adjustment and is supplied with a bottle holder for added comfort. Purchased this about 2yrs ago and very satisfied with it as it hasn't given me any problems unlike the Nordic Track which was nothing but trouble. After 2 replacement bikes in about 2yrs and ready for a 3rd, I decided enough was enough and exchanged for my present bike. 5 star service by Sweatband for sorting the problem out for me. Very satisfied. I bought it as I need to improve my general fitness, but due to my back problem I can’t use other cardio machines. The bike is very comfortable and the seat supports my back while exercising. It is quite big, but after a lot of research I couldn’t find anything smaller that looked any good. I’d recommended for all people with back problems. Got this as to help us stay fit during winter. We chose this model on based on the recommendation of a friend and found it really comfortable and stable. It is also very easy to use. 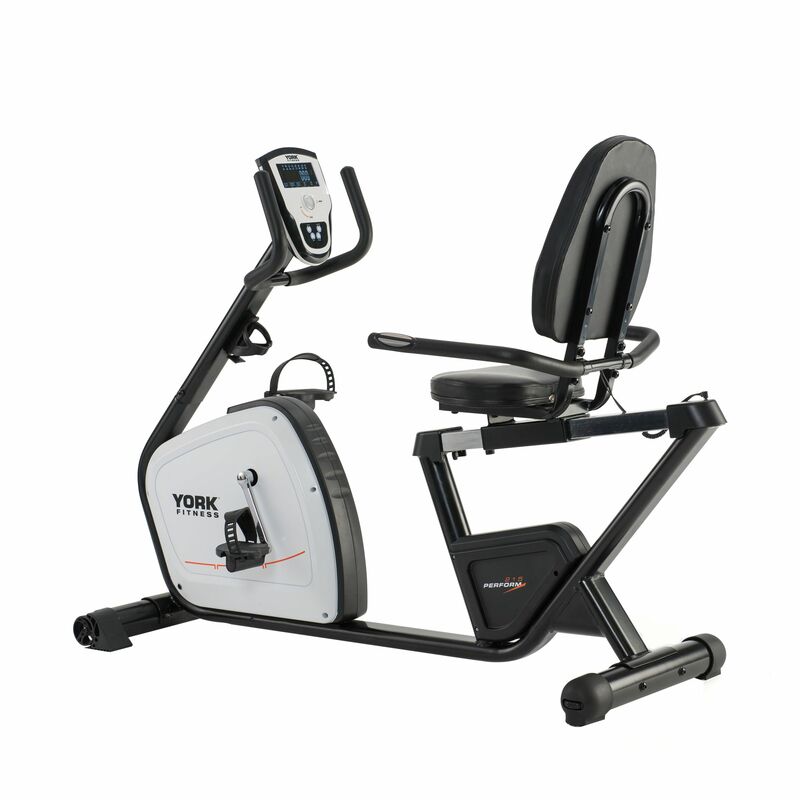 We are not very good with most types of fitness equipment but this machine is perfect for us. Really like the oversized seat with the back rest and the solid construction. The console is clear enough to read the workout data, but it could be a bit bigger. Overall, very happy with this bike. for submitting product review about York Perform 215 Recumbent Exercise Cycle.